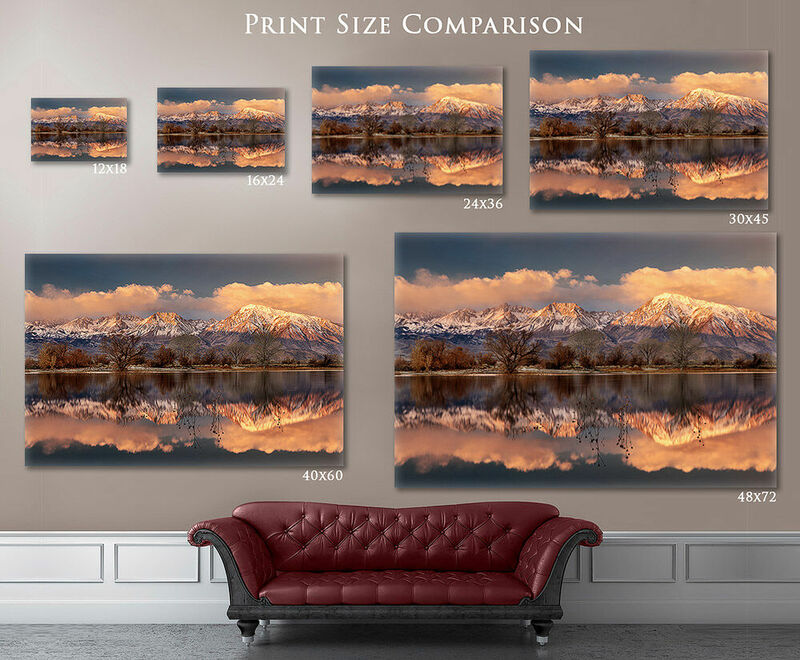 At thesierralight.com I offer a wide variety of prints and options to suit the collector's need. These include Metal Prints, Canvas Wraps, Lustre Endura Paper Prints, and now introduction Limited Edition & Master Edition Acrylic Face Mounts. I personally guarantee your satisfaction. Please allow 2-3 weeks for delivery. Shipping cost may vary. All processing of sales is done through PAYPAL. If this payment option does not work for you, please contact me for alternative methods. If you have any questions please email me via the contact page or call (760) 920-2212. Return Policy: If your order arrives damaged in any way please follow the instructions provided with the accompanying order email. All 'Sale' purchases are final. If you would like to request a refund, please contact me at nolan@thesierralight.com within 3 days of receiving your order. Returns may include a restocking fee of 15% of the purchase price and all return shipping, including insurance, will be the buyers responsibility.